Published: 04:49 Wednesday - December 05, 2012 The ancient village of Thu Le is located near Tam Giang Lagoon in Quang Phuoc Commune, Quang Dien District. It was established during the middle of the Le Dynasty (1428-1788). For over half a century, the village has preserved many cultural features of a village in the old capital of Hue. Translated from the Chinese, the name “Thu le” means “giu le”, (literally keeping politeness and rites), which shows that the villagers attach much importance to maintaining their rites, customs and disciplines. Thu Le is an agricultural village but it is famous for such cultural works as pagodas and communal houses. 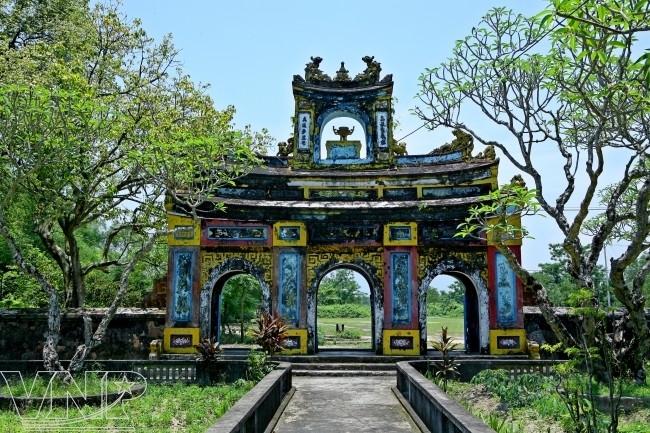 It is also famous for Ngu Hanh Temple built to worship Princess Huyen Tran during the Tran Dynasty (1225-1400) who followed her husband to reclaim new lands in the South. There is also Van Thanh Temple to worship Khong Tu and Vo Thanh Temple to worship Quangong. In the village, there are 14 families, including eight large families, namely Le, Nguyen, Ho Dang, Phan Gia, Phan Ngoc, Phan Nhu, Ngo Van and Ngo Thoi. According to the village’s custom, each large family together with the authorities and villagers, take responsibility for organizing worshipping rites during the year. Along the village’s main road, many family worshipping houses are scattered. Each is not only a beautiful architectural work but they also preserve the cultural and historical imprints of a family. 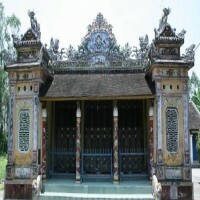 The village also boasts an ancient pagoda with a grand three-gate entrance. 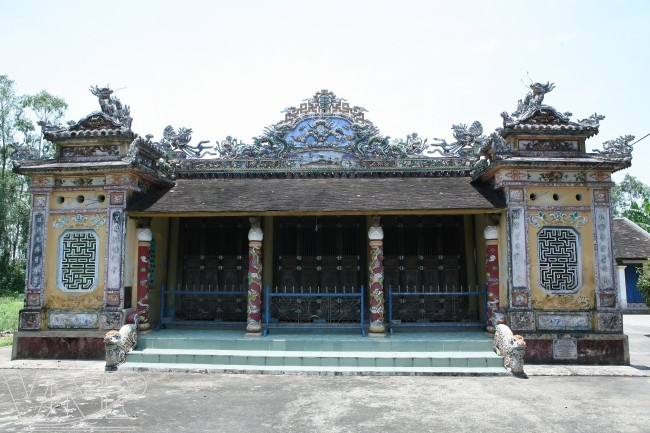 The main hall was built in the style of a long Ruong house, a strange architecture rarely seen in Hue. The roof of the pagoda was terracotta inlayed with different shapes of dragons, unicorns, tortoises and phoenixes. Offering incense at a family’s worshipping house in Thu Le Village. Photo: Cong Dat. All the parts made from wood in the pagoda were carved with delicate patterns, showing the skillfulness and talent of artisans in My Xuyen Village in the past. On the main four doors, artisans created four-season paintings and eight beautiful objects with five bats holding in their mouths the Chinese script “Tho”, symbolizing five good fortunes. 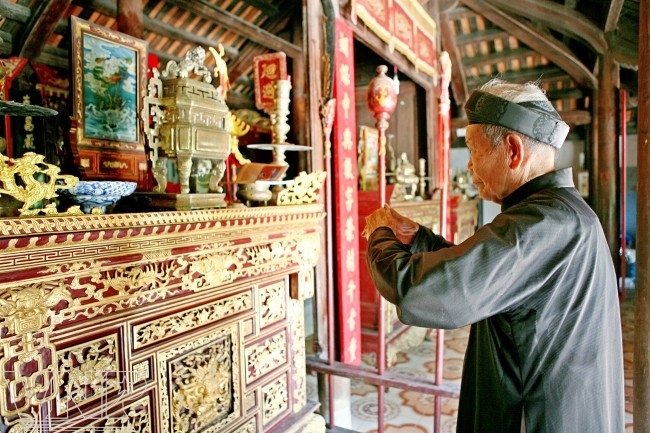 For a long time, Thu Le Village’s pagoda has been the place for organizing religious activities and is a charming destination for tourists nationwide. 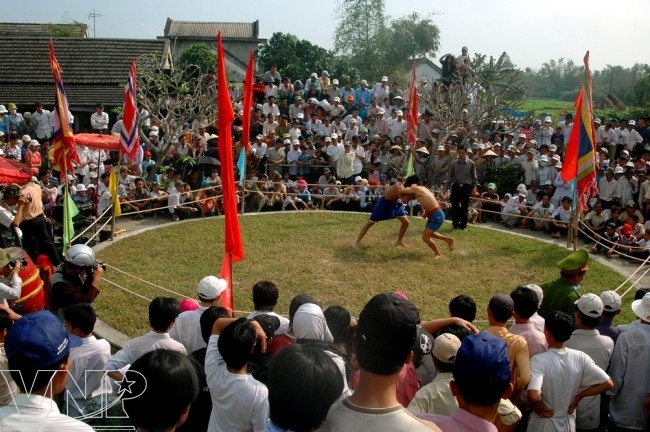 Annually on January 6 of the lunar calendar, the villagers in Thu Le organize their wrestling festival in the yard of the communal house that attracts a large number of visitors. 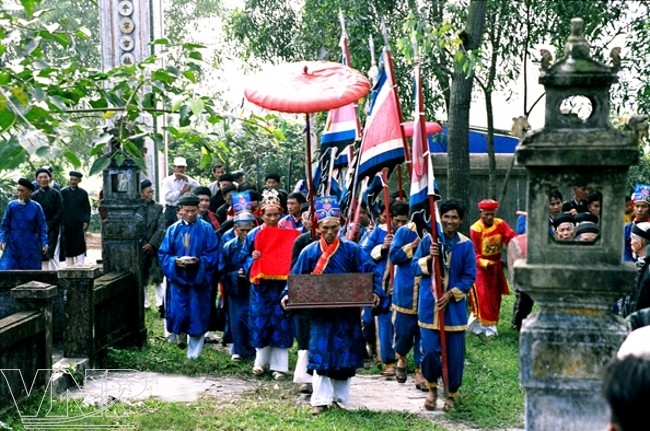 The wrestling festivals in Thu Le and Sinh villages are considered the most ancient and famous in Hue in particular and the Central region in general. 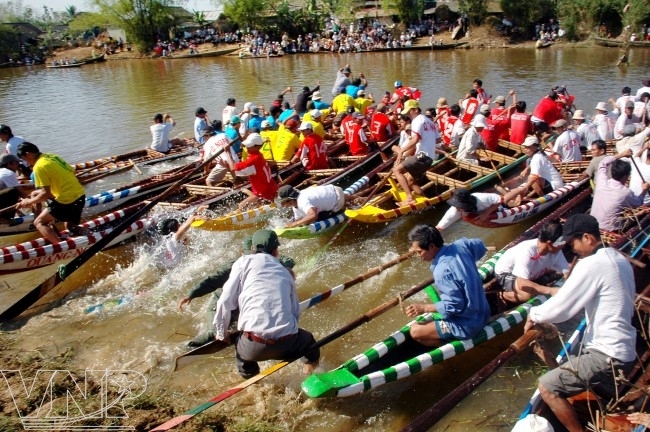 On the 7th, when the wrestling festival ends, the villagers flock to participate in a boat-racing festival. During the first two days of the New Year, the area seems to be overwhelmed by the festive atmosphere that shows the optimism and sporting spirit of the villagers. With a tradition of thirst for learning and overcoming difficulties, the younger generation of Thu Le Village now brings into full play the traditions of their ancestors to preserves the cultural identities and values. Visiting the village, tourists have a chance to discover the simple beauty of a famous village in Hue where there are roads shadowed with bamboo clusters, small lanes and moss coved communal houses and pagodas, wharfs, boats and rivers. All these things remind visitors of their sweet childhood. Have you ever tasted delicious grapefruits in Vietnam?